This safety lockout kit simpliftes the lockout of larger machines. 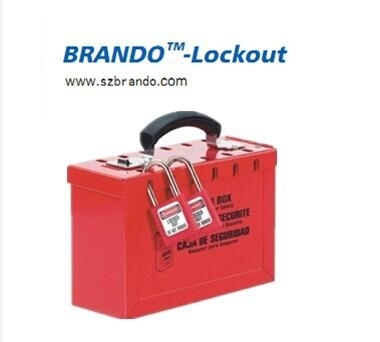 After the equipment to be worked or has been isolated from the energy source.The lockout keys are placed inside the multiple lockout kit and then padlock by the controlling person. 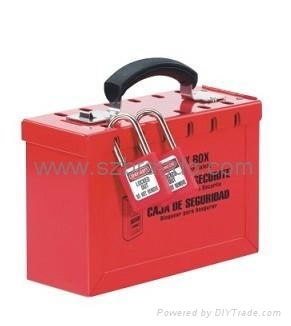 Each person then working applies their own unique padlock to the lockout kit .Only when all unique padlock have been removed (including the controller's padlocks) Can the necessary keys be re-issued to re-start .